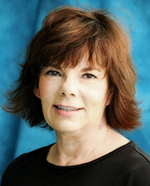 Mentoring is a daily activity for pulmonary clinical nurse specialist and ATS Clinicians Advisory Committee Chair Ann Schneidman, MS, CNS, RN, CHPN, whether it’s with the patients she visits or the interprofessional team she leads as the Pulmonary Resource Program Director at the not-for-profit agency Hospice of the Valley in Phoenix. But she often finds that it’s a two-way street. Hospice of the Valley serves about 2,500 patients on service for hospice care and 900 patients on the Arizona Palliative Homecare Program. Through the palliative pulmonary program that Ms. Schneidman developed seven years ago, she and a registered respiratory therapist collaborate with the health care team in care coordination. They visit patients in diverse settings in metropolitan Phoenix from the inpatient palliative care units to wherever the patient calls home, which includes temporary housing to skilled nursing facilities. During visits, the program staff provide support and education on the disease process or condition, use of respiratory care equipment, symptom management, and the impact of disease progression on the patient and family. Staff and community education is an important component of the program. The Pulmonary Resource Team provides an opportunity for staff to increase their knowledge and skill in pulmonary nursing. The staff members who volunteer for the team serve as a critical link in the dissemination of evidence-based practice updates and identifying patient care issues. As chair of the Clinicians Advisory Committee and a member of the Nursing Assembly, her thrust has been promoting interprofessional communication and collaboration, which she frequently engages in at Hospice of the Valley. “I see this committee as demonstrating interprofessionalism to serve as a model for others within and beyond the Society,” she says. An ATS member since 1982, Mrs. Schneidman has become more involved in the Society within the past six years, and colleagues say she has provided the invaluable insight in the ATS workshop report “Assessment and Palliative Management of Dyspnea Crisis,” and in the Respiratory Nursing Skills Update session first presented at the ATS 2013 International Conference, among other activities. She credits Nursing Assembly Chair Lynn F. Reinke, PhD, for encouraging her participation. Nursing has been Mrs. Schneidman’s calling from an early age, when she looked up to aunts in the profession and her father stressed pragmatic career choices. And after earning her bachelor’s degree in nursing from South Dakota State University and gaining experience at the Dakota Midland Hospital and Duke University Medical Center in North Carolina, she became interested in respiratory medicine at Bishop Clarkson Memorial Hospital, in Omaha, where she served as a team leader in a 40-bed cardiopulmonary floor and later as a manager of a 25-bed intermediate cardiopulmonary care unit with 24-hour responsibility. These experiences inspired her to pursue a Master of Science in Medical Surgical Nursing at University of Arizona in Tucson under ATS members Benjamin Burrows, MD, Gayle Traver, MSN, and Alice Longman, PhD. She presented her master thesis “Comparison of Three Methods of Administering a Self-Propelled Aerosolized Bronchodilator” at ATS 1982 in Los Angeles. The thesis would later be published in the American Review of Respiratory Disease (now the American Journal of Respiratory and Critical Care Medicine).